Time for this week’s results post! 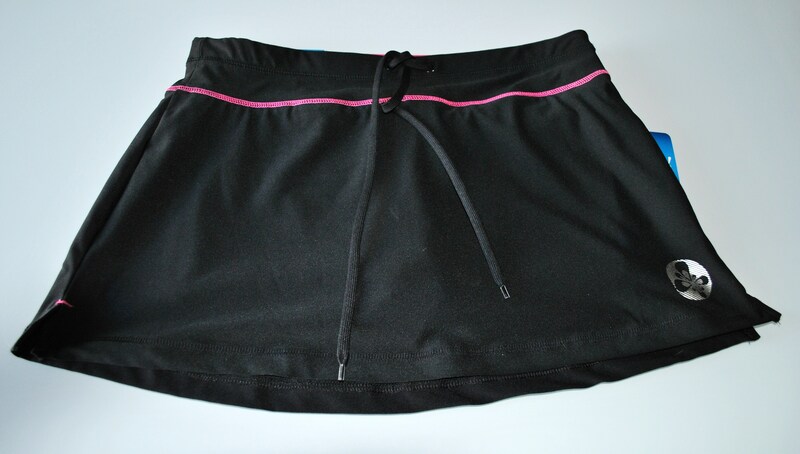 I had actually resolved myself to the fact that I wouldn’t be able to successfully complete this week’s challenge of finding a new running skirt. 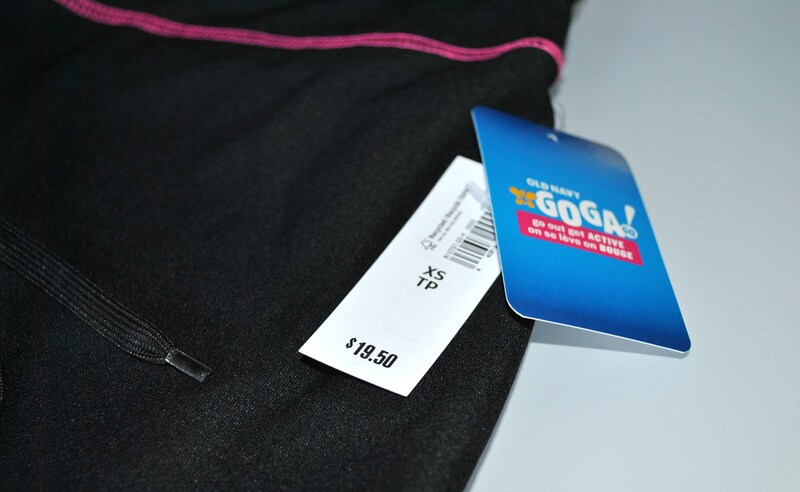 Earlier in the week I did a whirlwind tour of sporting goods stores (two Sports Experts, SportCheck, Lululemon), department stores (two Sears, two the Bay, Zellers), and other clothing stores (Old Navy, Smart Set, American Apparel) and although I came across many cute running skirts nothing I found was within my budget. In fact nothing was under $50! When I got to the cash I found out that it was actually on clearance for $8.99! 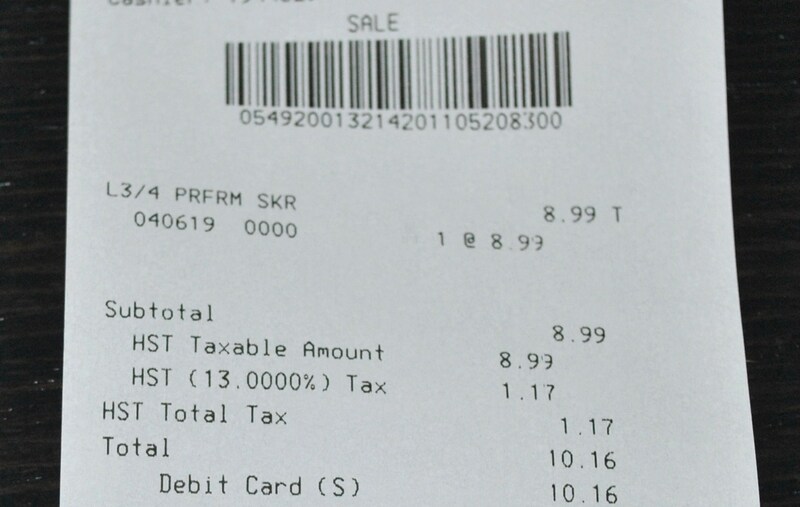 With taxes the total came to $10.16 which leaves me with a total of $9.84 for the SpendThrift Savings Bank! I have to say that I am really happy with this purchase. Not only was the skirt a total steal but it’s also really comfortable and the fact that it has a drawstring waist is a total plus (since I’m sure that you’re aware of my issues with Old Navy’s sizing system).